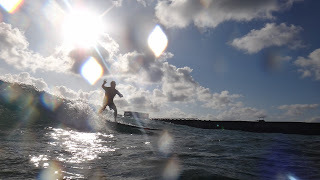 Todays wave report from around the Happy Surfing Okinawa Guest House / Surfing School / Stand up paddle boards / Snorkel Camp. Some fun small crystal water waves this am as the tide dropped. Good fun for Okinawa surfing lessons long board level up!! 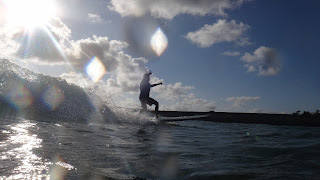 Beautiful weather with light winds.